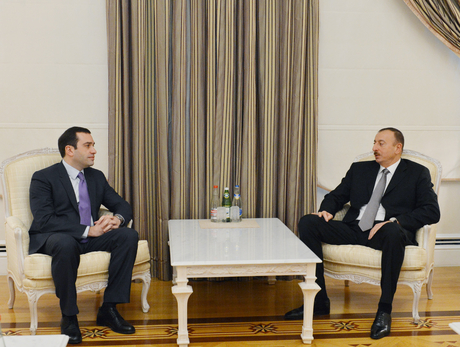 President of Azerbaijan Ilham Aliyev has today received Georgian defense minister Irakli Alasania, Azertag reported. The President praised the two countries` relations in all areas, particularly in the field of defense. The Head of State noted the cooperation between Azerbaijan and Georgia had good traditions both in the bilateral format and within international organizations. President Ilham Aliyev said there were good opportunities for strengthening the bilateral defense cooperation. Irakli Alasania said his visit was important in terms of exploring the prospects for expanding the defense cooperation.